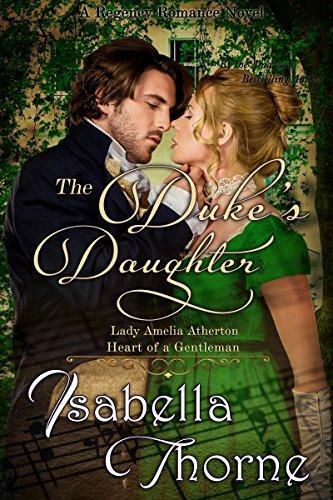 A Duke’s Daughter and a Navy Commander …a tragic accident, a secret cypher, and a clandestine engagement. A strange twist of Fate brought the unlikely pair together… now nothing will keep them apart. Lady Amelia Atherton is not a woman to be trifled with. Known as the diamond of the Ton, she is beautiful, witty, and the only daughter of the Duke of Ely. The men of the Peerage see her as a prize to be won, and perhaps a way to obtain her father’s influence. Commander Samuel Beresford is the brash, sometimes rude, younger son, of the Earl of Blackburn. A Royal Navy Commander who has little time for the affectations of Society. Two people have never been so mismatched, but when Amelia’s father, The Duke of Ely, dies under mysterious circumstances, and Samuel’s elder brother is poisoned within a mere day of the Duke’s death, both Lady Amelia and Commander Beresford find themselves forced to work together in a desperate search for the culprit. Now everything Lady Amelia once took for granted has been shattered, and with the Dukedom in the hands of her odious Uncle Declan, Amelia and Samuel plan an elaborate ruse, in the hope of drawing out the murderer.